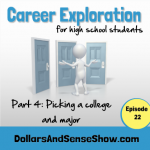 Welcome to episode #50 of the Dollars and Sense Show! 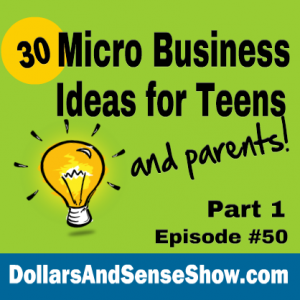 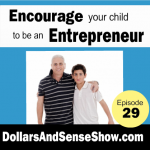 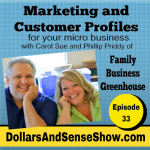 In this episode, Carol Topp, author of the Micro Business for Teens book series, shares more than 30 ideas of micro businesses that a teenager (or a parents) can start quickly and easily. 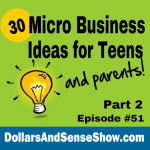 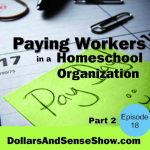 To celebrate the 50th episode of the Dollars and Sense Show, Carol has put her Micro Business for Teens books on sale. 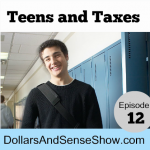 The sales runs through September 2015, so grab your copies today.